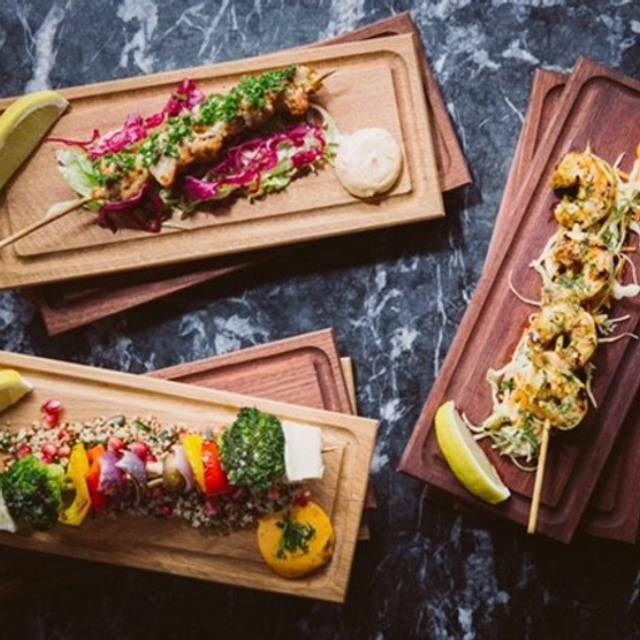 Greek grilled meat skewers and stuffed pittas, plus imported drinks in casual, graffiti-decked digs. Lovely! Very patient and helpful we had to leave quickly because we were late for an event and they were really helpful and printed our receipts out separately ! Beautiful restaurant hidden away on Brick Lane and a wonderful spot for a delicious tapas dining experience. We were warmly welcomed and accommodated for despite bringing one additional member of our party to join. Furthermore, the team there made the 21st birthday occasion we were there for even more special. Will be back! Food was yummy... much better than expected. One dish, a main for one person, took ages to arrive which was a surprise as the sharing plates were served very promptly. When reminded, our waitress wasn't particularly apologetic, in fact slightly defensive. Apart from that it was great! Quite pricey for what it is. Food is ok, nothing extraordinary. The concept is around sharing small dishes. You end up paying a lot for very small portions. Excellent food & customer service every time. 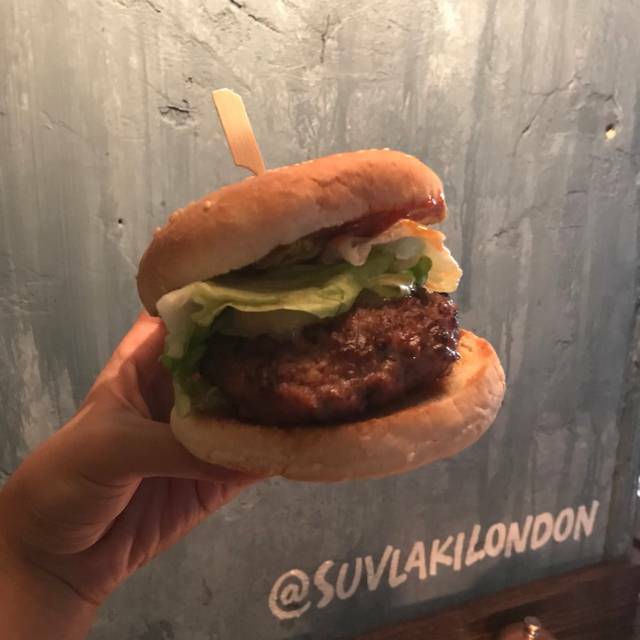 We've been to Suvlaki 3 or 4 times now - it is a perfect spot to go with friends or for a cozy date. The staff is very friendly and attentive and the food is always perfectly cooked and really flavourful. Would recommend the wild boar skewers among other smaller dishes. Highly recommended and great value. Flavorful cuisine and nice ambiance. Just wished the portions were a bit larger! Service was good but the portion was very small and the seating was cramped. Once again a really great meal at a restaurant where the staff make every effort to look after you. 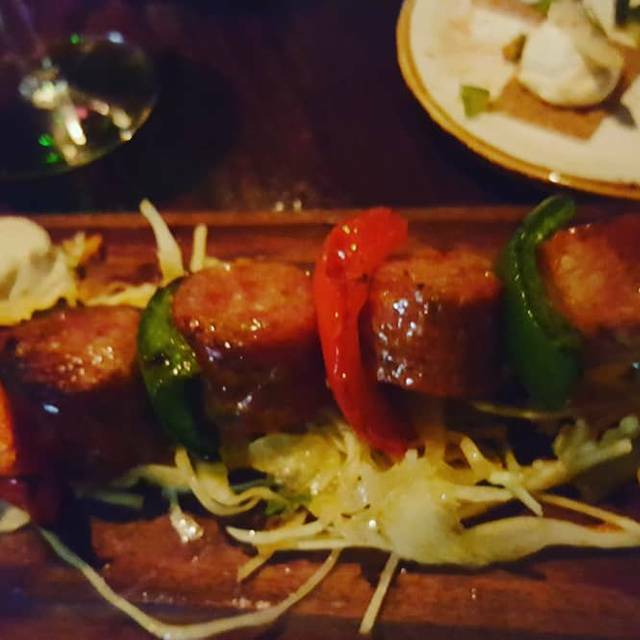 LOVED THE WILD BOAR, i ordered the skewer but can't wait to go back and try the wrap too! all the dishes were very tasty, the meat moussaka definitely got a thumbs up from my partner. 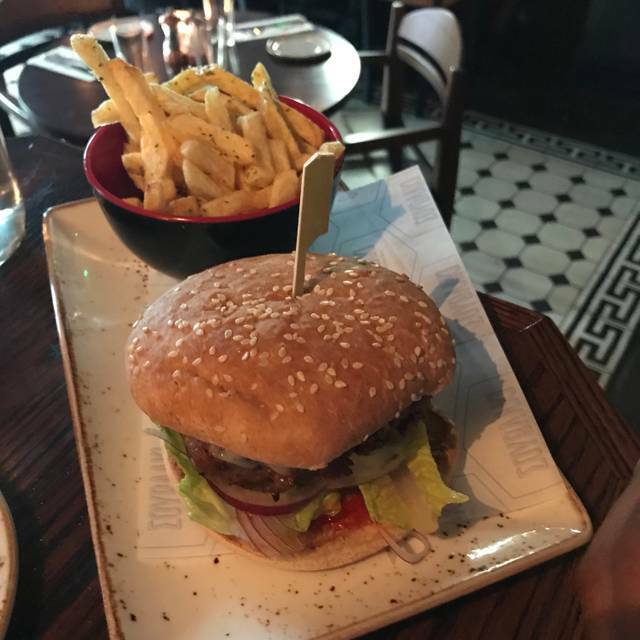 we sat at the 'naughty corner' and it was a very sweet spot, perfect for a date night. also recommend the desserts, especially the orange and almond cake, sweet and juicy, tiramisu was one of the best one i've had in London. the only downside was the service was not the fastest, but that's because we were sitting in a hideaway corner where they couldn't see us clearly at all times. 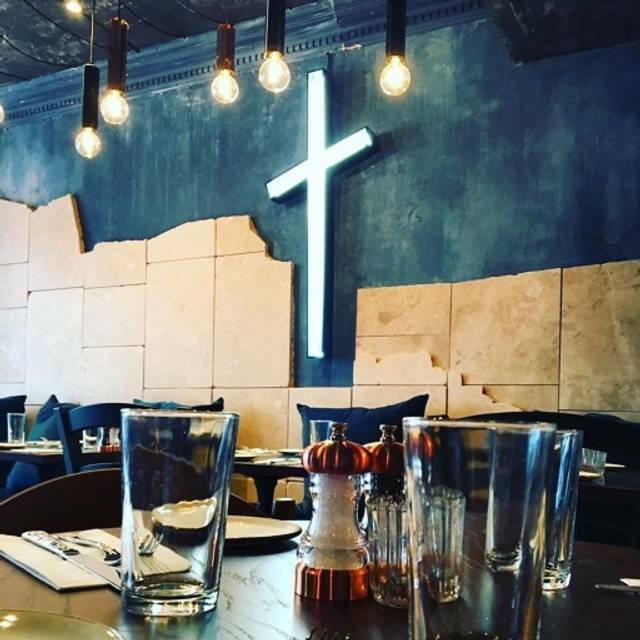 Overall, the best Greek restaurant in London. This restaurant is amazing. Such a hidden gem! The food is delicious, the ambiance is unparalleled and the service is excellent. Amazing food, friendly staff, very generous portion sizes. This is my favourite restaurant in Shoreditch. Simply stunning Greek tapas! We are definitely come back here to try the rest of the menu. Every single one of the 10 plates we shared was stunning, that included veggie, meat and fish dishes. The courgette fritters and lamb cutlets are just some of our new faves. Capped it all off with an Ouzo and a Greek black coffee. This is probably the best Greek we've both ever had. Lovely atmosphere, staff and meal. Very good tapas style Greek food. Good service, the aubergine moussaka was particularly good ! 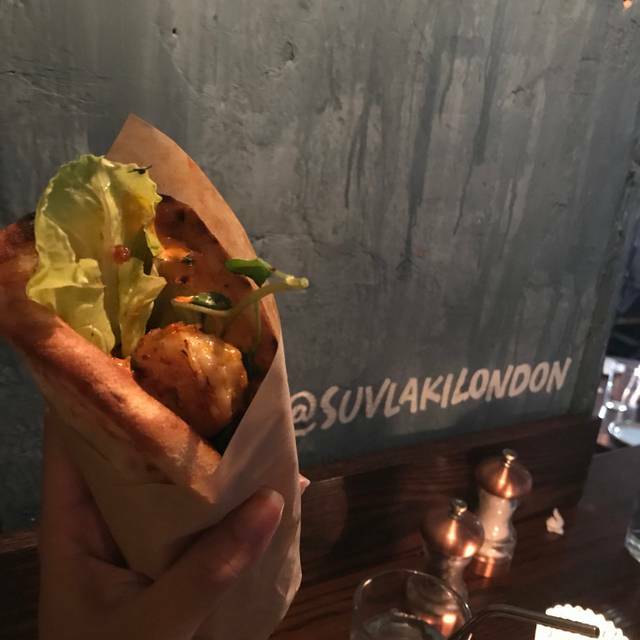 The food was good at Suvlaki, however the portions are really small. The decor was comfy and nice, however it is a little dark inside. 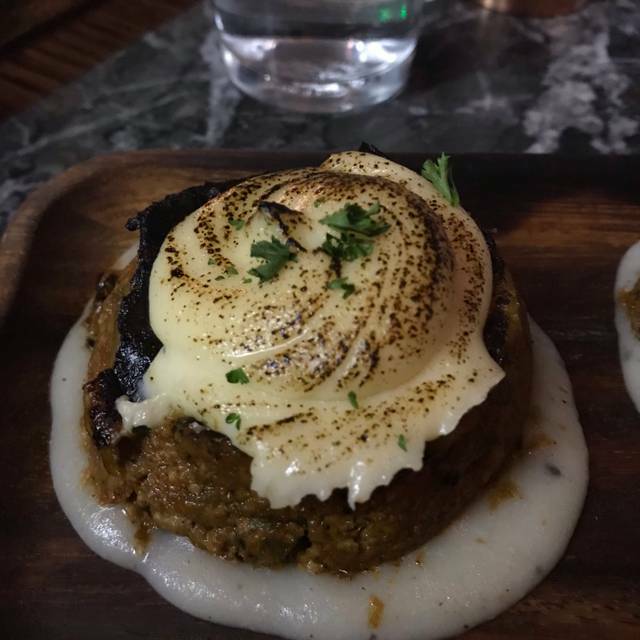 Fabulous food and great for vegetarian options - love this place! Great fresh food , I like the decor and the friendly staff. Portions sizes could be improved and Greek salad should be improved. Lettuce does not belong in it and serving it in a ashtray sized plate is a bit over the top and those olives are not from Greece. Very good food, freshly cooked with good service. We would definitely recommend. This is a typically Shoreditch venue - cool, buzzy atmosphere, good food but incredibly expensive for what you get. At first glance it looks reasonably priced but then you're advised to order 3-5 dishes per person! The house wine was also nearly £30 a bottle. 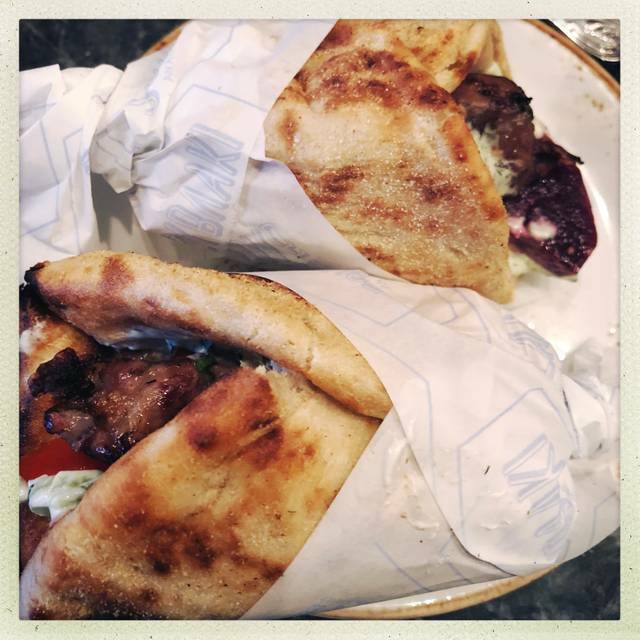 The food was nice, but I've definitely had better Greek food in London and without the price tag. With so many other choices nearby I don't think I'd go back. Nice spot. Food was quite good. The spicy prawns and sausage suvlaki were great. A little pricey but nice romantic spot. Tiny plates of underwhelming and overpriced food. Left hungry and disappointed. Great place, lovely staff and friendly service. I felt it was a little bit pricy but I guess that's London! I'd definitely go back. Greek salad had a lot of variety. Pork was cooked well, we ordered the skewers instead of the wraps. 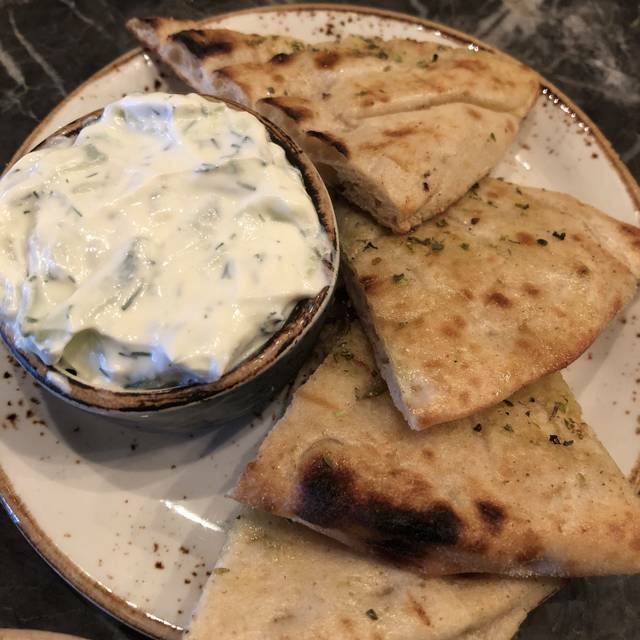 The taramasalata was a very different typical Greek/Cypriot dish, it tasted a bit cheesy and doesn't come as a dip as you might expect. Fantastic restaurant. Delicious food, taking traditional Greek food and adding twists to each meal. You are constantly surprised with every bite. Lovely staff, very cosy. Make sure you book if you’re coming at the weekend, they were very busy, and I can see why. Hidden gem! Superb. One of my favourite places.